Are CVT transmissions a good buy or a disaster waiting to happen? Just to be clear, the CVT transmission is neither modern (Leonardo Da Vinci was the first to come up with the idea), or rubber band technology. In fact, it uses metal reinforced belts. The title of this article may sound like we have a negative opinion of CVT, but that’s not really true either. CVTs have their advantages. But if you are in the market for a new or used car, we think there are some characteristics of the CVT that you should be aware of. This way, you’ll get the ride you really want. 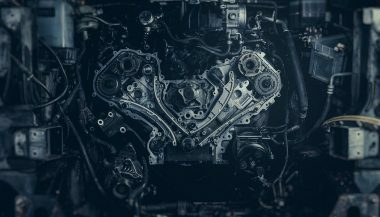 So we’re going to give you an overview of what exactly a CVT is, how it compares to manual transmissions and automatics, the pros and cons of CVT, and who puts them in their vehicles. For some drivers, a CVT transmission will make perfect sense. In fact, some think they are the best thing since individually wrapped American cheese. For others, though, a CVT will be less than desirable, and could end up costing big bucks. What Exactly Is a CVT Transmission? A Continuous Variable Transmission (CVT) is an automatic transmission that can change seamlessly through a continuous range of effective gear ratios. In other words, there are no “fixed” shift points like there are in regular automatic transmissions. Without getting into the weeds with a discussion between input and output speeds, a CVT essentially finds the optimal “gear” for the vehicle to run in given the vehicle’s speed and the terrain it is on. At its heart, the CVT are two V shaped pulleys connected by a metallic belt. One pulley accepts “input power” from an engine or motor. That power is transferred via the metallic belt to the “output pulley” which sends the power via a torque converter to the wheels. As input power increases or decreases, the position of the input pulley changes, changing the diameter of the belt. This change is the equivalent of a “shift,” except it’s seamless and continuously changes. Even if your car or truck has a stick or automatic, you have been using a CVT transmission on other “vehicles” like rider mowers, golf carts, snow mobiles, or that Honda 90 motorcycle you putted around on in Jamaica. And CVT aren’t just for vehicles. Anything that is powered by an engine, like a heavy-duty milling saw, or even a press punch, probably has a version of a CVT that controls the speed of the engine. They’ve been around forever. Daimler and Benz filed the first patent in 1886. They just didn’t get the press back then that they do today. The use of a version of a CVT in automobiles first came into play in Europe, mostly by car and motorcycle brands that you have never heard of. The Japanese, however, were not sitting on their hands, and when economic conditions made sense, they were the first to introduce a mainstream vehicle with a CVT to the American market. The Subaru Justy, which had been sold in Japan since 1985, made its debut in America in 1989. It was not a huge success, but Subaru kept the CVT for all its future American models. Today, almost every brand offers at least one CVT model, and some, like Nissan, are equipped almost exclusively with these transmissions. Why? 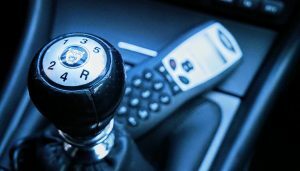 What makes a continuous variable transmission any better or worse than the standard automatics that have dominated the industry? We’re glad you asked. The big advantage of CVT over automatic transmissions (AT) is fuel efficiency. Oddly enough, the reason they are so fuel efficient may also be the number one reason some drivers dislike them, but we will get into that a bit later. So, why are CVT so fuel efficient? Well, there are several reasons but the principal one involves running the engine at optimum RPM. 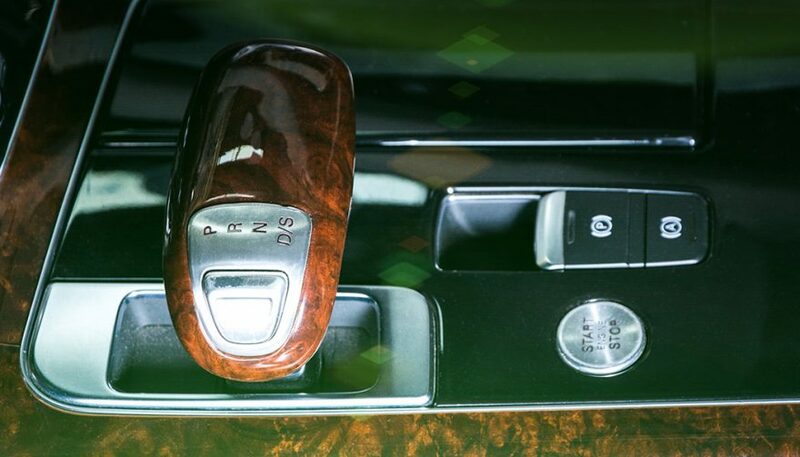 When you drive off in an AT, the transmission starts in first and stays there until the engine has reached an RPM that triggers a shift point to second. When you’re in second, the RPM drops and then builds again until it hits an RPM to trigger third, and so on. Each time the engine has to build RPM it requires more energy (read: more fuel). Because a CVT has an infinitesimal number of “shift pints” the engine does not rev, drop, rev, drop. Instead, it just continues building RPM until the desired speed is achieved. The net result is the engine requires less fuel to get to a desired speed than an AT would require. You may think a CVT can’t possibly save much fuel just because of shift points. 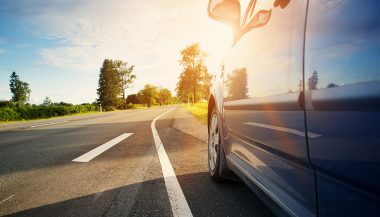 But if you are an urban dweller who does a lot of stop and go driving, the savings do add up, and more importantly, they add up at the gas pump. Has that always been the case? Generally speaking, yes. But there have been significant improvements in CVT technology, including the electronically controlled CVT transmissions that have significantly improved the fuel efficiency advantage. 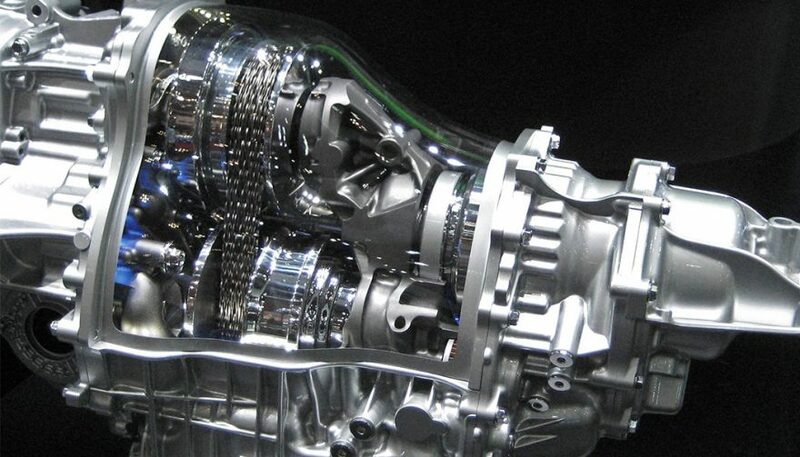 CVTs are significantly smaller, lighter, and cheaper to make than automatic transmissions. They weigh less, which of course means they need less energy to move from point A to point B. While many people in the industry talk about switching to aluminum and lightweight high strength steel to save weight and improve mpg, CVTs have offered that benefit ever since they were introduced. Size does matter when you are manufacturing subcompacts and compact vehicles. The CVT is a favorite in that style of car. Usually this class touts superior fuel efficiency. The CVT’s light weight, small size, and engine optimization is a perfect fit. Almost all hybrids, regardless of size, have a form of CVT. There’s the fuel efficiency, but more importantly, the CVT can handle power from an electric motor, or gas engine, or both at the same time. Lastly, CVTs are significantly less expensive to manufacture than ATs, so if a vehicle is competing principally on price, the CVT is a natural pick. People who are not crazy about CVTs usually site subjective driving dynamic reasons. We’ll touch on those when we talk about deciding if a CVT is right for you. But subjective reasons aside, there are some “cons” to consider when considering a CVT. Even though CVTs are widely offered in today’s automotive market, there is still a question of reliability. Nissan, a big advocate of CVT, has had calamitous results with some of their designs. The Murato was the first model to only offer CVT, and it was a disaster in terms of reliability. And when one of these things get sick, it cost a fortune to make them well. More often than not, the only solution to a damaged CVT is a replacement. While they may be cheaper to build, replacing instead of repairing, or rebuilding a transmission, is significantly more expensive for the car owner. But this is painting CVTs with a broad brush. The reliability of a CVT varies from brand to brand. Toyota owners rarely report CVT issues. However, Nissan Altima owners listed CVT as their number one complaint. Nissan has extended the warranty on transmissions to ten years, or 120,000 miles. This is meant to provide some assurance that owners won’t be stuck with a huge repair bill. Interestingly, this extension became effective after a class action lawsuit regarding CVTs. The suit involved 2013–2014 Infiniti JX35 and QX60, and 2013–2014 Nissan Pathfinders. Lastly, CVTs are loud, particularly when you are rapidly accelerating. In fact, it isn’t the transmission that’s loud, it’s the engine. When you step on it in a CVT it’s akin to putting an AT in neutral and stomping on the pedal. The engines revs really loud. In an AT you aren’t going anywhere, but in a CVT, it is constantly, and seamlessly, changing gear ratios to match the engine revs, and you are shooting down the road. The engine continues to rev until the desired speed is achieved. Okay, this is really subjective. If the driving dynamics of a CVT are an issue with you, you won’t want to invest in a vehicle with it. They do drive differently than ATs or manual transmissions. If those differences are important to you, stay away from CVTs. On the other hand, if lower gas bills and cleaner air float your boat, CVT is the way to go. If you are an automotive enthusiast, love muscle cars, and enjoy the “shift shock” of a manual or automatic, you won’t like the CVT. The good news is that CVTs are rarely paired with high torque or performance vehicles, so the issue won’t even come up. Because the CVT is constantly changing gear ratios, the ride is uncommonly smooth. That’s a plus for some people, but others will perceive the smoothness as a lack of acceleration. This is actually the biggest complaint about CVTs, and if you think it through, it doesn’t make any sense. When we accelerate, we are so accustomed to the engine sounding a certain way, and feeling the shift changes push us back a bit. If those sensations aren’t present, you’re not accelerating. The car next to you could be keeping up nose to nose, but it’s doing it with a different sound and smooth ride of a CVT. If your daily commute involves stop and go traffic, you will probably not notice any difference between a CVT or AT except the improved mpg. If you live near the Rockies you’re going to notice that the transmission doesn’t constantly “search” for the right gear going up a grade. The fact that the CVT is constantly finding the optimal gear ratio may be perceived as a lack of power. This perception issue is such an obstacle to CVTs being widely accepted. Manufacturers are actively trying to engineer the CVT to “feel like” an AT. You can already get CVT equipped cars with paddle shifters. Basically, all these do is interrupt the computer’s analog, and allows you to hold a high range gear ratio. Of course, you negate the fuel efficiency, but hey, if it makes you feel better, we’re not going to stop you. The first question you should ask is: is the vehicle you are considering equipped with a CVT? If you see a clutch pedal, there is no CVT, or AT, for that matter. If you are buying new this isn’t an issue. The salesperson will tell you, and the type of transmission will be listed on the sticker. If you are buying used, or from a private party, you’ll have to do your research. Remember, different trims of the same model may come equipped in AT or CVT. If you are not a CVT fan, you can’t exclude the possibility of a CVT simply by brand. There are 72 models from multiple manufacturers available across the global market. There are the usual suspects like Nissan, Toyota, Subaru, Honda, and Mitsubishi. But Mercedes-Benz, Ford, Chevrolet, Audi, Fiat, Lexus, and others all have a version of CVT as well. Research is good but the real “teller” is an extensive test ride. Don’t just go around the block. Since perception is such a big issue, you need to get into as many different driving situations as you can. You definitely want to get on an on-ramp and check out how the vehicle performs while accelerating. Does it feel sluggish? Is it loud? If so, the vehicle probably has a CVT. The real question is, does that matter to you? And that’s about it! CVTs are not a bad thing; they have advantages. They can bring a new level of fuel efficiency to your life, but they do drive differently. It’s important that you become comfortable with that if you plan on driving a vehicle that has a CVT. Know what you want, but always keep an open mind. 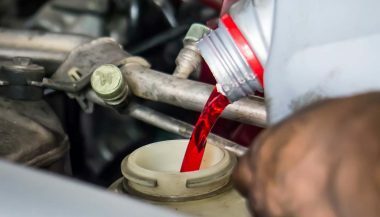 "How often should I change my transmission fluid" is a question many people ask when their transmission starts acting up. Let's get in front of the problem. It's not magic or rocket science, and it's not a tough mechanical discussion. Understanding how transmissions work begins with understanding gears.